We are all blessed with the time we have on this Earth. Many of us have felt a call or desire to make a positive impact in whatever way we can. But how do we do this in these hectic, modern times, especially when our attention is pulled in so many directions? If there is one thing I can say which assists me with staying in alignment with what really matters, I would say that it is having a solid spiritual or wellness practice to keep my “mind-junk” out of my way. This may come down to personal preference, and I encourage you to explore your options and stay creative. Grounding might look like any form of meditation, prayer, taking a mindful breather, or some type of exercise or movement, self-massage, stretching, etc. It also might look like journaling, making daily art, or simply listing what you are grateful for. Figure out what works for you. Remember, if it doesn’t work immediately, it doesn’t mean that it never will! It takes persistence to create grounding strategies that become really reliable and awesomely effective tools that you can trust in for a lifetime. Find what centers you and continue to use it! Other people, (including our loved ones), obligations, and the world-at-large may try to steer us in a direction we do not really want. This is why it is so important to know what we truly want in this world, regardless of what society, others, or our own fearful or doubtful side “expects” of us. One of my favorite strategies is to create a desire map or collage, using magazine images I feel called to. The key here is: What is important to you? What are you passionate about? What makes your heart sing, and what do you WISH you had more time for? Because the time is there, if you really want it. It takes a commitment to prioritizing our desires, and making space for them in our lives to become a reality! Put your desire map somewhere where you can see it often, to remind you of what you are wanting. When something tries to pull you off track? Give it a mindful once-over, and decide what you really want to do with your time! Thank the Heavens for time-chunking! It really is genius. Instead of going into your day with a long laundry list of things you have to accomplish, which leaves us vulnerable to falling prey to distractions and tangential scattering of our valuable energy, try this. Schedule everything you have to do into chunks. ONE TASK AT A TIME. Your chunk might be ten minutes, half an hour, an hour, or more. The only rule is that you can only do ONE SINGLE designated task for the time you have chunked– nothing else!! No distractions, fooling around in some corner of the internet. No side-accomplishments, or jumping around your To-Do-List. Time-chunking makes it much easier to actually get a task done in a predictable manner– and actually helps our brains re-train into a more disciplined style of focus. I am beginning to see and put to use the real value in a practice of reflecting on what you have already done, and becoming conscious of what you intend to create. You can write it out on a simple piece of paper, or create your own, printable worksheets to refer to, keeping them in a three-ring binder so you can track your progress. Nothing is more powerful than your intention. I recommend AT LEAST reflecting on what you have created/intend to create on a monthly basis for your big goals. However, you can also take it a step further and do a weekly or daily practice for smaller goals or other mini-shifts. Do this, and I PROMISE you will see the power and effectiveness of your time. And you will NOT want to waste it. Let’s face it… we can do the work, set our intentions, and think we know all about what we want, but we’re not REALLY in control here, are we? Maybe to a certain degree, but I am a big believer in the great paradox of life. In other words, I know that in all things in life, we need a balance. Therefore, one of THE SINGLE MOST IMPORTANT time-management skills I use is the simple practice of surrender. This means surrendering your plans, your to-do-lists, your whirling thoughts of what you must be or do, to a higher plan and purpose. I make my plans, and then I surrender them. This keeps me less stressed, less stuck in my own limited vision, and more open to the flow of creative, outside-the-norm solutions, and the synchronicity and ease of life! Things will come together the way we want them to, but only if we truly accept and let go of what we “think” we want. Trippy, huh? I hope you have enjoyed my strategies on using your time better this year. I would LOVE to hear if you have put any of these into practice before, or if you plan to after reading this blog– leave a comment! And of course, if you are needing extra support, remember I am always happy to assist you with art psychotherapy or intuitive mentoring services to help you meet your goals and live more purposefully, peacefully, and passionately. Happy New Year– lets make it the best year yet! Natalie Foster, MA-MFT, ATR, is a Registered Art Therapist and Intuitive Mentor serving adult clients in Phoenix, Arizona. 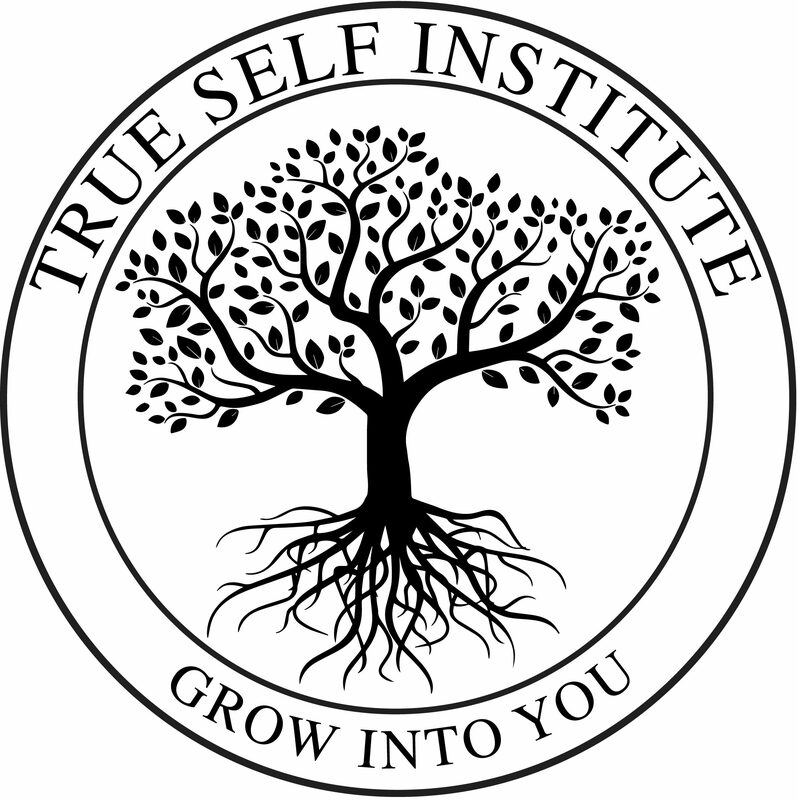 True Self Institute, LLC, also offers art-making groups, networking events for therapists and other professionals, and one-one online coaching support for those not living in Arizona. Visit http://www.trueselfinstitute.com for more information. Great tips + reminders Natalie!